Deploy Apizee Link within your intranet, extranet, entreprise social network, forum and create more interaction opportunities with your colleagues, your partners or even customers. 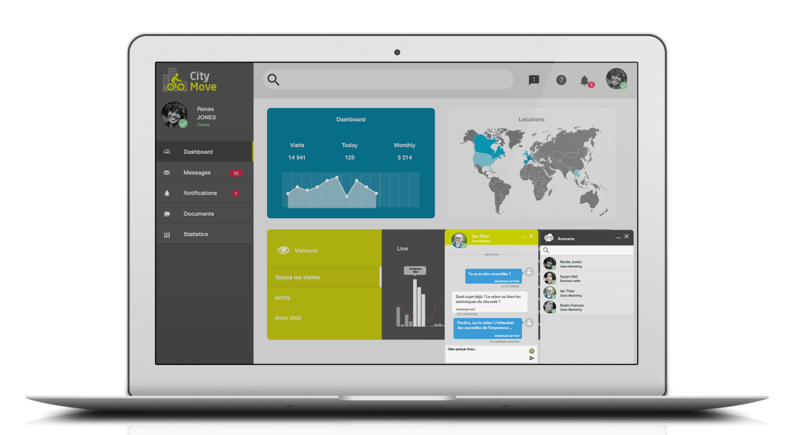 Save time and money by enabling instant communications with remote members of your team. Trigger video-conferences without need for installing costly tele-presence hardware. Ensure fast users adoption thanks to our plugin-free, web-based communication experience available on all major Internet browsers. 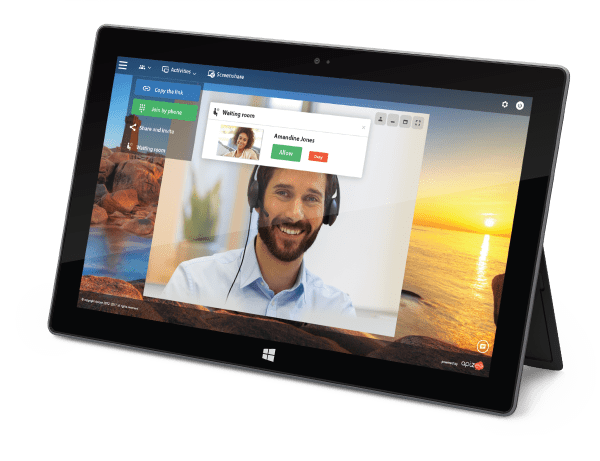 Trigger voice and video conferences in a few clicks. Invite your colleagues, partners and customers. Use screen and document sharing features to collaborate even more efficiently. Stop putting your company data at risk by letting your teams exchange confidential information over popular messengers. Connect Apizee Link with your intranet or enterprise social network. 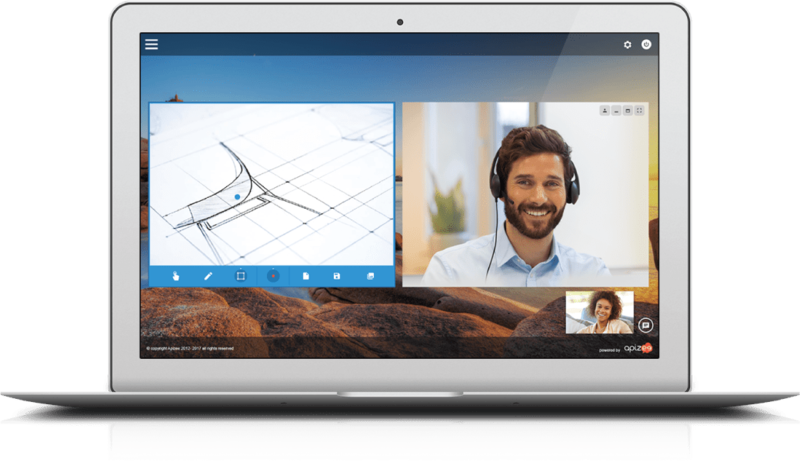 Streamline team collaboration and partner interactions with a set of WebRTC-based real-time communication features. 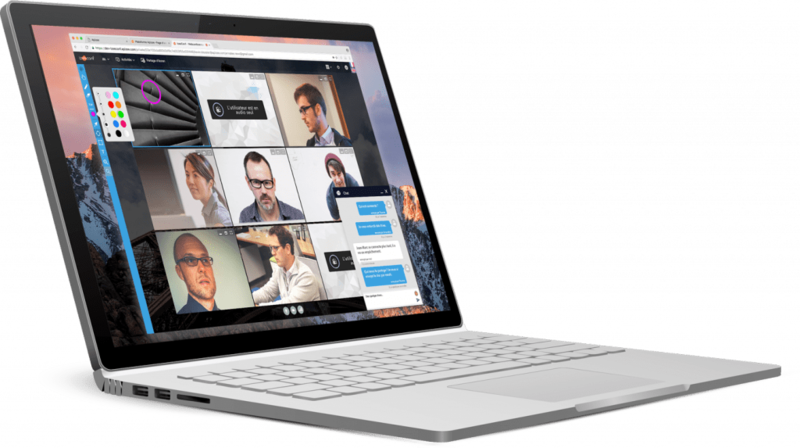 Collaborate seamlessly through text-based messaging, audio or video calls. Share your documents, presentations and video clips in a click thanks to the screenshare and file transfer. You can show your entire screen or a single application. If necessary, you can also take remote snapshots, make annotations on the picture and save the medias that you will find later on your conferences list. Continue the communications started on your computer on your smartphone or tablet and find your chat history. Get a full conversation history record: identify and count outgoing calls, incoming conversations, missed conversations, call duration for you and your team. Update tour presence information in a click. Manage your privacy and turn your presence off while staying connected. Adapt conversation widget and interface to your branding and display personalized profile pictures. Spot in a glance who among your co-workers is connected, who is available and who is not. Trigger a new conversation in a click.